Happy Friday all! Today, I want to share some of my favorite work day essentials. As a full time employee and mama of two, I'm always on the hunt for pieces that will be both work appropriate, mom appropriate and still be somewhat fashionable and fun. These are just a few of my go to, favorite items that I have found! Please comment below with your favorite pieces to wear to work that are also comfortable and mom friendly while still being fashionable! Keep in my mind my work's dress code is business casual. These are my go to work pants. They are super cute and flattering. Easy to dress up or down too! And I can tuck them easily in tall boots! 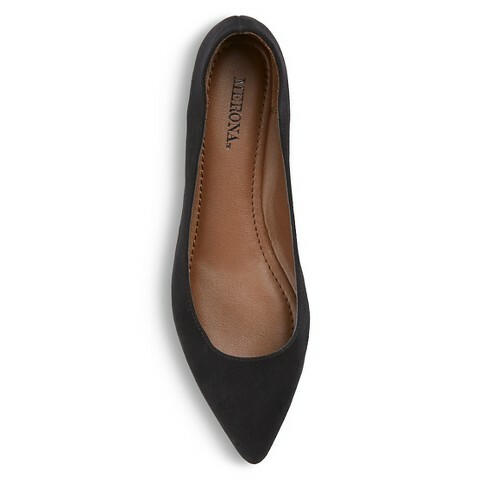 I recently bought two pairs, yes two, of these flats from Target. Super comfy and cute! And affordable and that's a winner in my book! I realize these boots are a little bit of a higher price point than some might prefer. 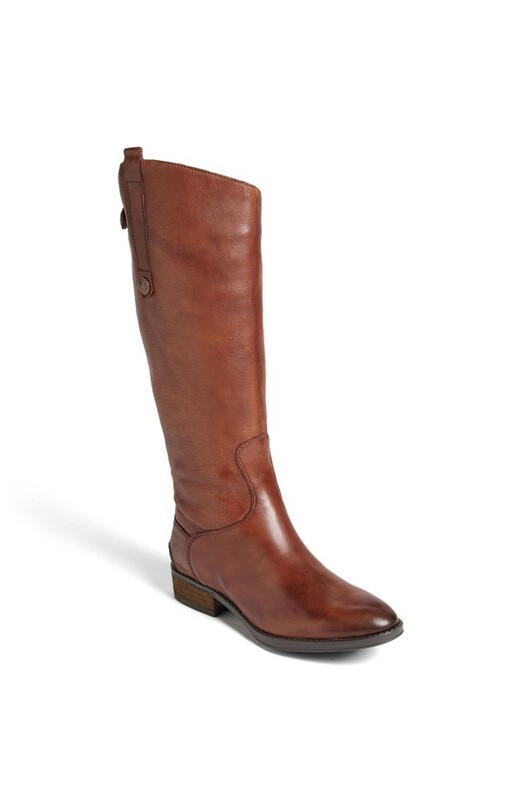 I just got these and so I wanted to share my thoughts in case you were looking for a pair of boots and were able to swing the price. These are lighter in person than they are in the picture, more of a camel-y color, but I was ok with that. They are super buttery soft and so comfortable. Worth the price? I'd say probably yes overall but there are lots of other less pricier but just as cute ones out there. I am a lover of a good handbag. You can never have too many. Tell that to my ever shrinking closet and wallet, though. Now, I don't have this one but it's definitely on the wish list. I think it looks like it is the perfect size for not only work but also to throw in some kid stuff when you're running errands. And it's reversible- so really, that's like 2 bags for the price of one?! I've highlighted these shirts before here, but they're so good, I want to highlight them again. I love, love, love this style of shirt- Super comfy, no fuss no muss while still looking stylish?! 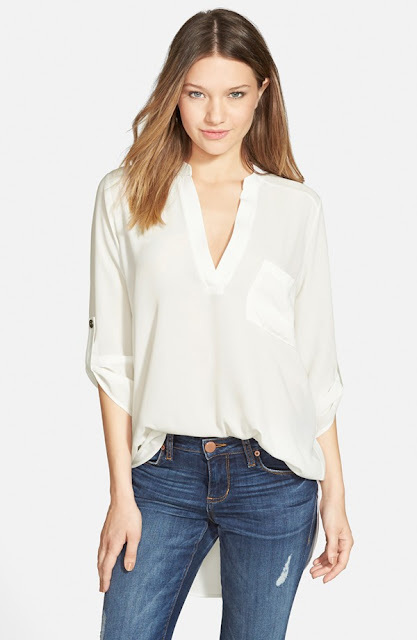 I have this shirt and then a few others in a different brand from Stitch Fix that I love. I'm a lover of all sweaters. 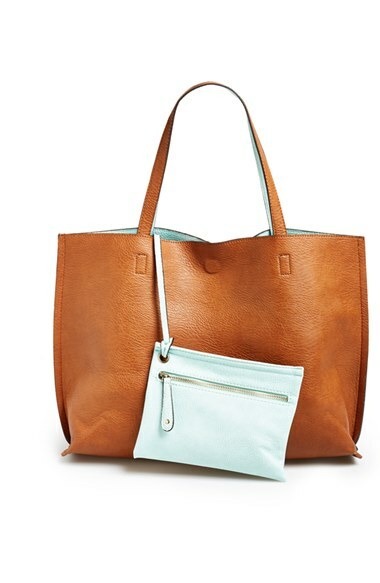 Chunky, thin, neutral, pop of color- love them all. I really like thinner sweaters though, that I can layer either over a plaid shirt or under a vest. 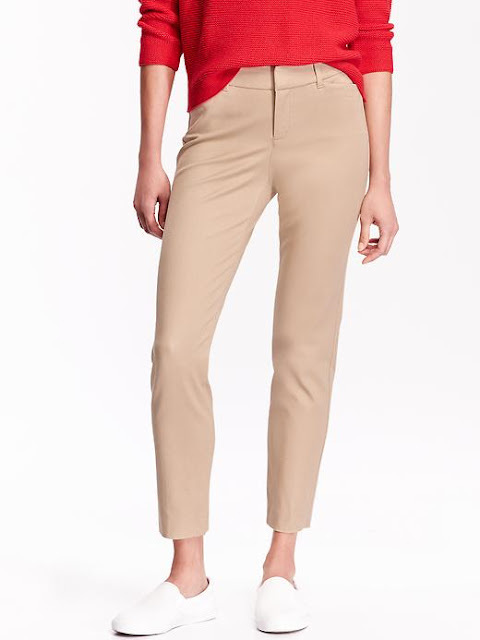 I linked a few from Old Navy that are on sale that I thought were cute. 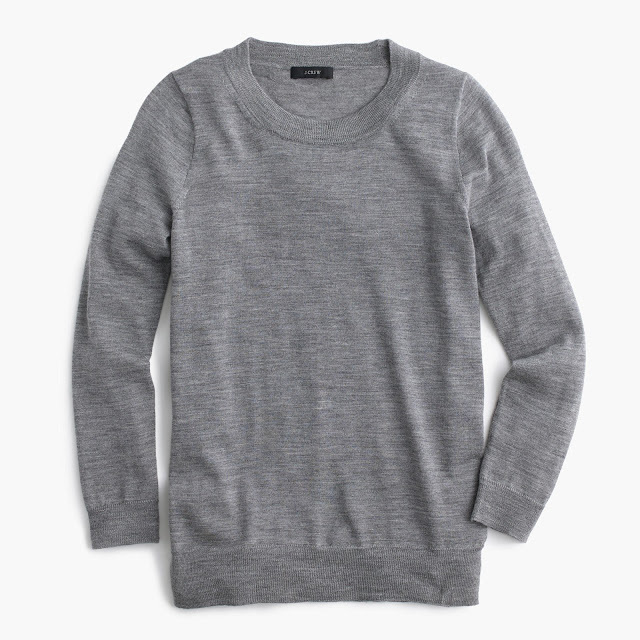 J Crew Tippi Sweater- a little more expensive than what I am used to paying but I've heard over and over that these sweaters are soft and perfect for layers. And they come in every color between the sun. I also found this at a much more reasonable price point! 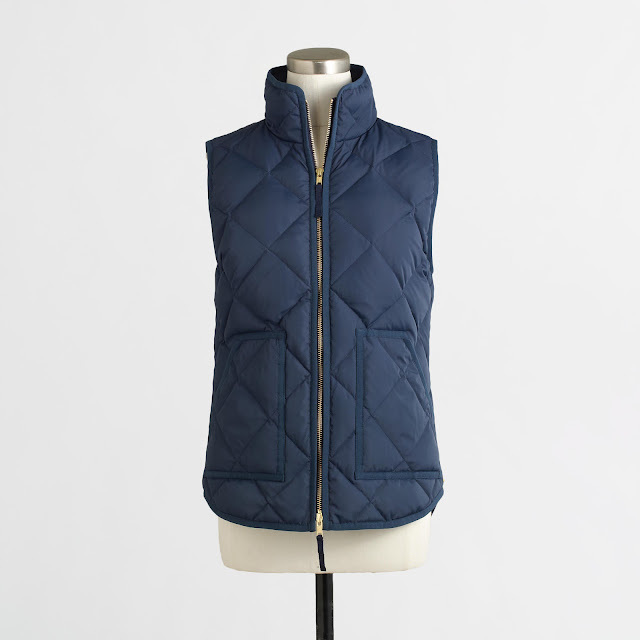 I love J Crew's puffer vests. Perfect for layering and I can layer over a sweater and take it off once I get to work or put it on if it gets chilly in the office. It's still appropriate for work while being comfy too! I have this one in navy and really am tempted to get a few more colors. 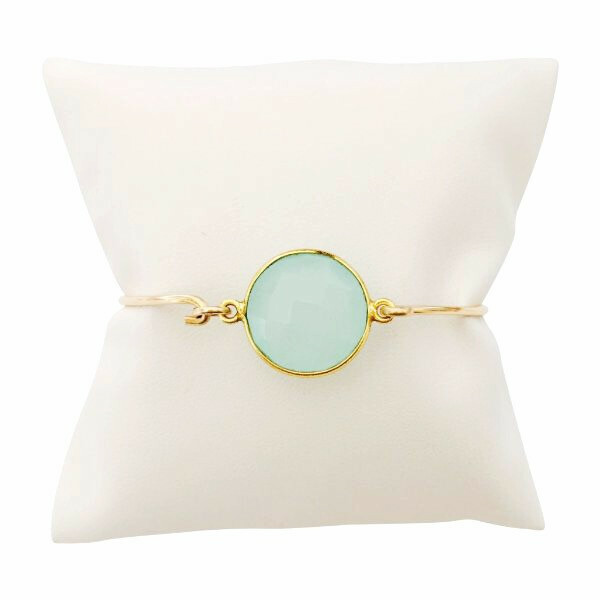 If you've followed this blog, you've probably heard me mention Wrenn Jewelry. I love her pieces and have a never ending wish list of pieces I hope to own. 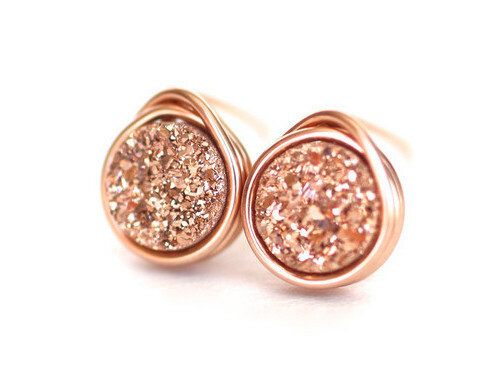 They are simple with a little bit of sparkle. Perfect to throw on with a plain sweater and pants to dress it up a little. So, there you have it- my favorite work essentials! What would you add? I'm always looking for fun ways to update my work wardrobe! That's all for today- Happy Friday, have a great weekend!